Rabri Devi says Mulayam Singh Yadav's statement on PM Modi holds no significance as he forgets things due to old age: The Lohiaite veteran's statement in Lok Sabha that he wants PM Modi to become PM again took Opposition leaders by surprise but drew loud applause and cheers from BJP leaders. 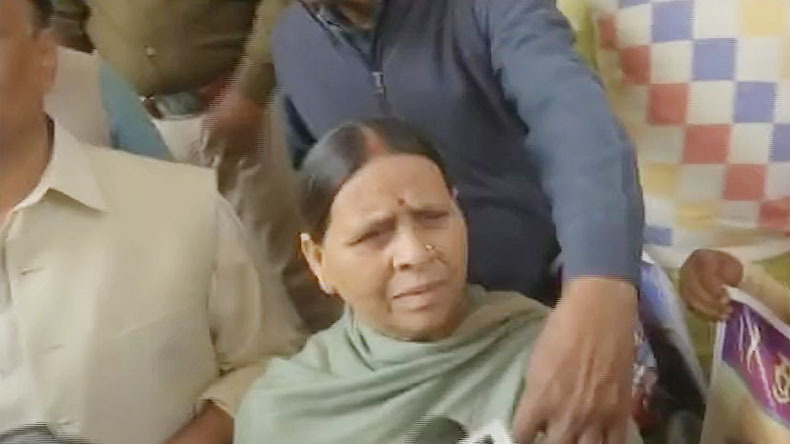 Former Bihar chief minister and RJD leader Lalu Prasad Yadav’s wife Rabri Devi on Thursday said Samajwadi Party (SP) veteran Mulayam Singh Yadav’s statement in Lok Sabha on Prime Minister Narendra Modi holds no significance. Rabri Devi said Mulayam Singh faces difficulty to remember things due to old age and he often forgets the current time and gets lost in a familiar environment (Unki umar ho gayi hai. Yaad nahi rehta hai kab kya bol denge. Unki boli ka koi mayene nahi rakhta hai). Seated next to UPA chairperson Sonia Gandhi in the front row of the Opposition benches, the SP veteran on Wednesday said he wished to see Narendra Modi back as prime minister of the country and praised him for taking everyone along. On the last day of the Budget session of the Narendra Modi government before the Lok Sabha elections 2019, Mulayam Singh Yadav said, “I wish Narendra Modi to become the Prime Minister again. I have experienced that whenever I met you, you got my work done instantly (Meri kaamna hai ki pradhaanmantri ji aap phirse pradhaanmantri banein. Mera anubhav hai ki main jab bhi aap se mila, aapne turant mera kaam kiya). The Lohiaite veteran’s statement in Lok Sabha that he wants PM Modi to become PM again took Opposition leaders by surprise but drew loud applause and cheers from BJP leaders. 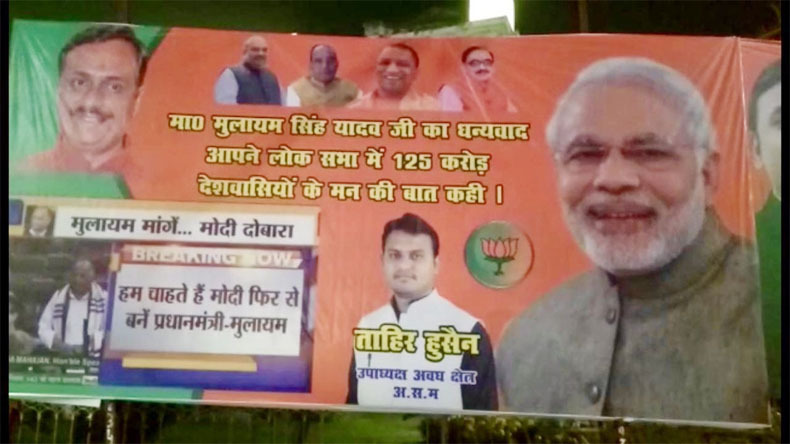 The BJP also put up posters in Lucknow thanking Mulayam Singh Yadav for endorsing Modi as PM for another term. Modi himself also thanked Mulayam for his generous wishes. Yadav’s comments came at a time when his son and the Samajwadi Party president Akhilesh Yadav is trying to stitch an alliance with Opposition parties in Uttar Pradesh to defeat the Modi government in the upcoming 2019 Lok Sabha elections. Akhilesh has also allied with Mayawati’s Bahujan Samaj Party (BSP) led by Mayawati to counter the BJP.